We have FANTASTIC teachers who LOVE IB at GB! We are OPEN-MINDED when learning from others. We show CREATIVITY when we construct new things. We have RESPECT for our environment and learn how to take care of our planet. We show CONFIDENCE and value our individuality. We are INQUIRERS who learn from the members of our community. We show COMMITMENT by working through challenges. We show ENTHUSIASM about being at school! We are BALANCED with our work and play. We are RISK-TAKERS who don't back down from a challenge. We are THINKERS who use technology to learn. We are a CARING and CONNECTED community! We have TOLERANCE of our differences and APPRECIATION for what makes us unique. We are REFLECTIVE when we work through problems. We take ACTION to make the world a more peaceful place. We have EMPATHY and help others. We show RESPECT to our teachers and each other. We are KNOWLEDGEABLE and work hard at school. We are COMMUNICATORS who share our knowledge. We are CARING and develop friendships at school. We show COOPERATION when we work together. We show CURIOSITY about the world. We show INDEPENDENCE and INTEGRITY when we are focused in class. We are an INTERNATIONALLY MINDED community. 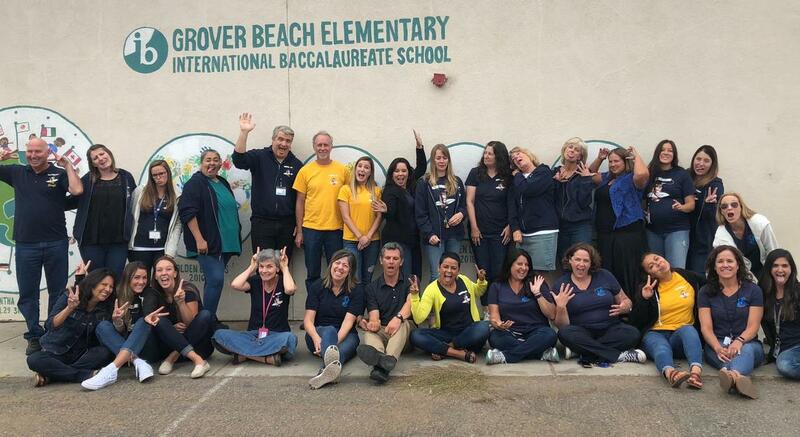 We LOVE Grover Beach Elementary! 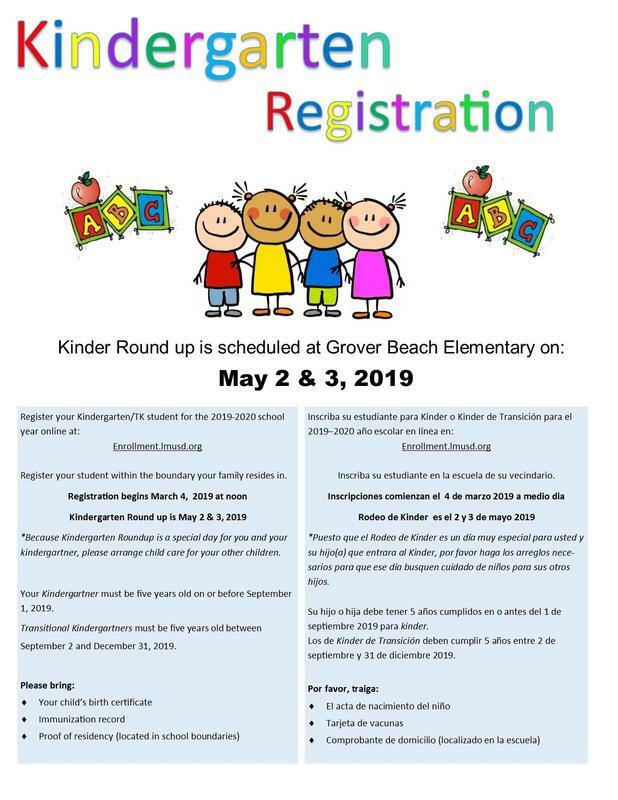 Registration begins at noon on March 4th!